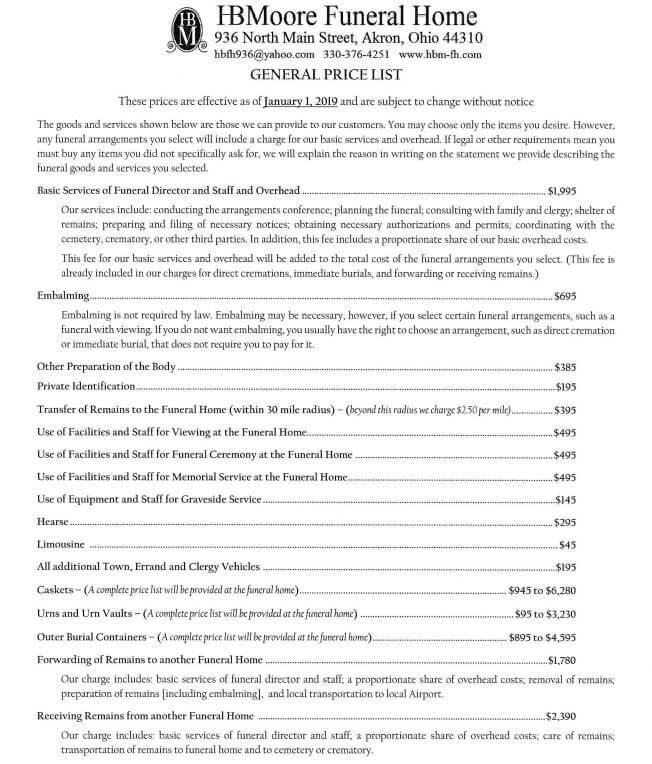 At Hennessy-Bagnoli-Moore Funeral Home, we want to make arrangements simple for you. We offer a large variety of containers and traditional caskets designed to meet your personal needs but we'll be happy to go over them with you and answer any questions you may have. If you are looking for something in particular, please let us know. We will make every effort to accommodate your needs. Call us at 1-330-376-4251 if you would like to review any of our product catalogs. Effective October 1, 2016 and subject to change without notice. The only warranties, expressed or implied, granted in connection with goods sold with this funeral service are the written warranties, if any, extended by the manufacturers thereof. No other warranties and, specifically, no warranties of merchantability and fitness for a particular purpose are extended by the seller.